How to Obtain a Korean Student Visa | Go For Visa | Australia Immigration Consultant & Visa Experts in India. Studying overseas can be a nice way to enlarge your horizons and get familiar with culture of some foreign country. The recent report revealed that more than 1,200 American students opt to study in Korea every year. The Korean Student visa which is also referred as ‘D-2 visa’ helps student to travel to Korea to pursue their higher education. 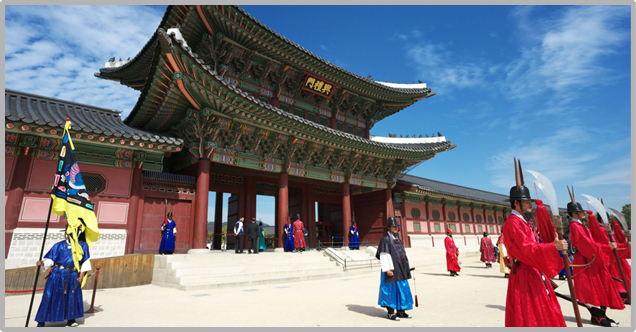 Go through following steps on how to obtain a Korean Student Visa. Make sure that you fulfill all the eligibility requirements to avail Korean student visa before you spend some money and time to apply. D-2 visa is only offered to those candidates who have been allowed to study in Korean University or college and aspiring for bachelor’ degree or something higher than that. Search for your nearest Korean consulate or embassy by doing some research on official websites of Korean embassy. The informative link under resources section of website offers entire list of Korean consulates in US. Gather all the details such as contact number and mailing address, as you will need all these details when you apply for student visa. Download and fill all the necessary details in the visa application form available on the Korean Immigration website. You will be asked to fill out your passport number and intention of stay in Korea. Along with your personal details, you also have to explain how you are going to pay for your visit. You will also have to submit a certificate demonstrating your past academic achievement, if you are planning to seek bachelor’s degree in Korea. Apart from this, you also need to submit your recent bank statements displaying that you have enough funds available to finance your trip. In case, you are dependent individual and you are relying on your parents for your trip fees then you have to submit your parent’s recent bank statement. For single entry visa to Korea you will have to pay $80 and for Multiple Entry Visa the charges are $80. If you wish to obtain some more information on Korean Student Visa or ‘D-2 Visa’ then it is better to seek advice from recognized online expert like www.goforvisa.com. Authorized Visa Agents such as ‘Go for Visa’ can definitely provide you proper guidance on tourist as well as business visa to Korea. In case you have any further doubts, don’t hesitate to get in touch with us at info@goforvisa.com.